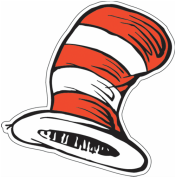 Theodor Seuss Geisel, better known to the world as the beloved Dr. Seuss, was born on March 2, 1904, on Howard Street in Springfield, Massachusetts. Throughout his career, cartoonist and writer Dr. Seuss published over 60 books. His children's books like 'The Cat in the Hat' and 'Green Eggs and Ham' were some of his most famous works.